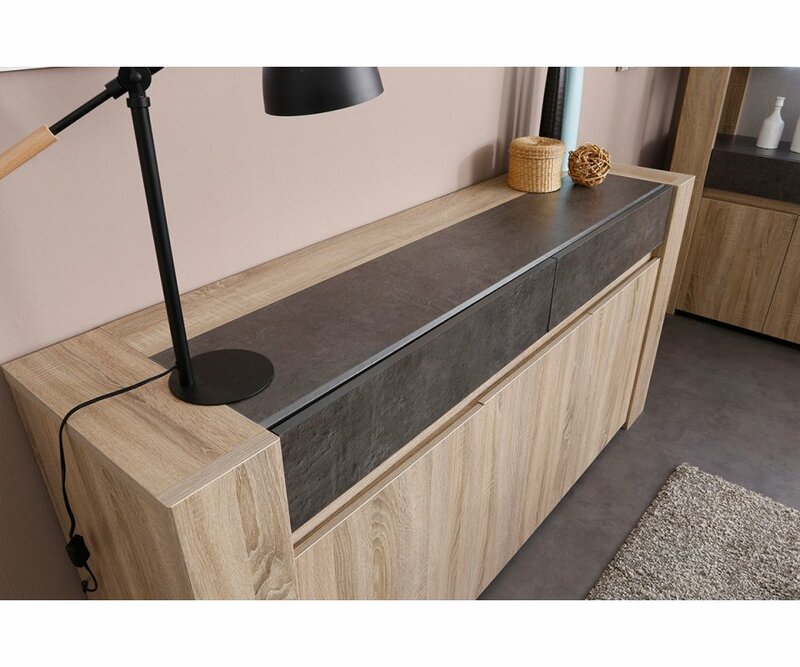 INSET CONCRETE VENEER PANEL: The Concrete veneer panel on top is extended to the drawer fronts, creating a wide border of Concrete veneer that adds dramatic impact. 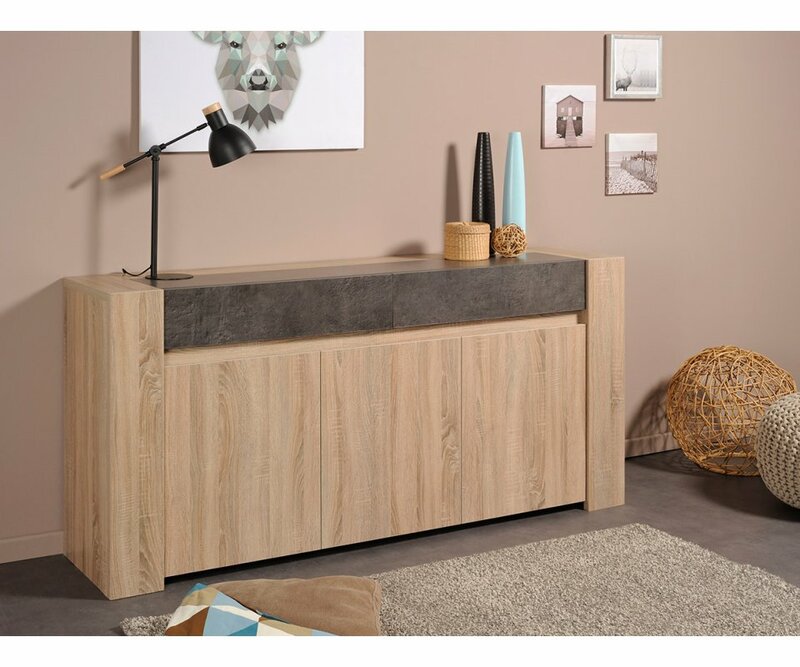 OAK WOODGRAIN CABINET: The Cotton Oak woodgrain veneer is the perfect foil for the Concrete, adding a light color and natural element that is eclectic and stunning. 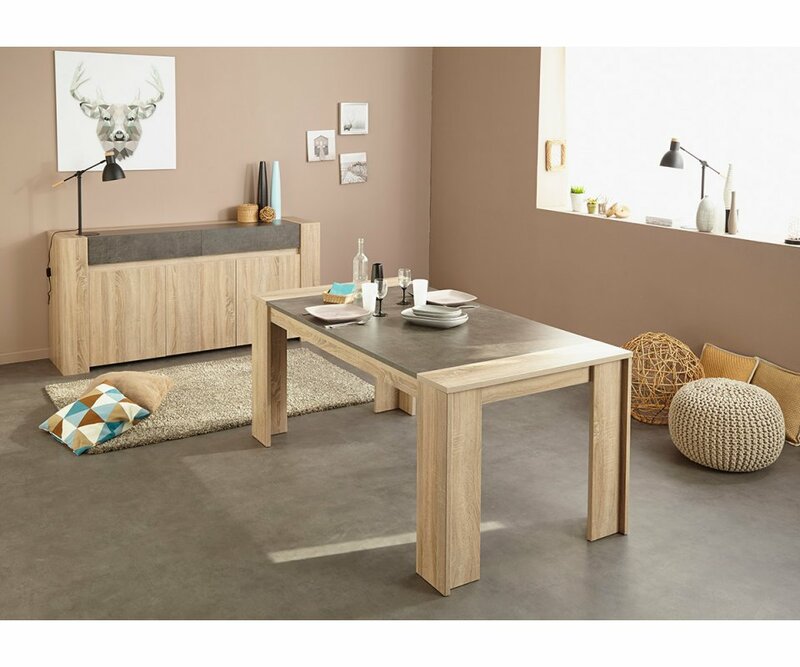 2 SPACIOUS DRAWERS: Two large, wide drawers open to store your table linens, placemats, candlesticks, and flatware. 3 DOOR CABINET: There’s a 2-door cabinet with shelves, and a single-door cabinet with shelves, providing lots of storage for your dishes, glassware, and serving pieces. 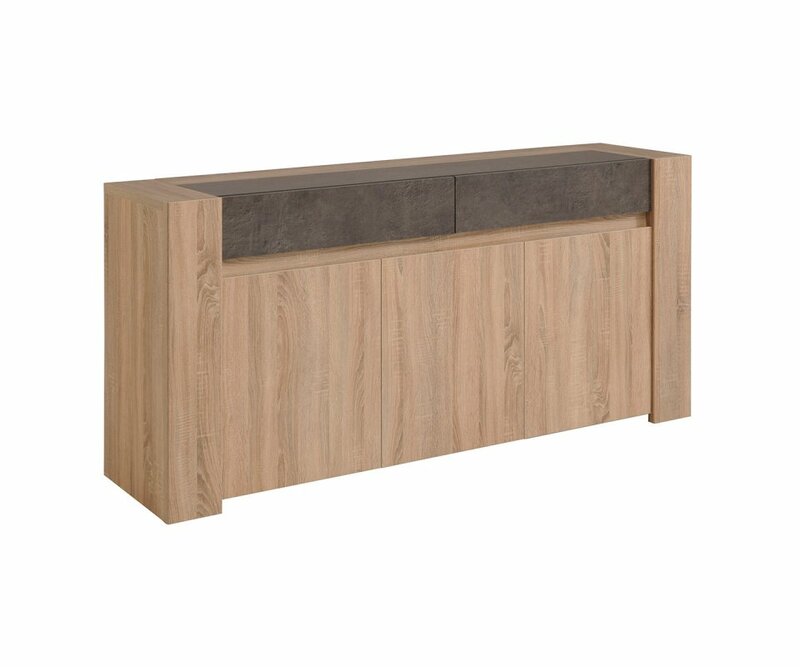 BUFFET TOP SURFACE: This sideboard has room on top to create a buffet or home bar area for cocktail parties, and entertaining family and friends. 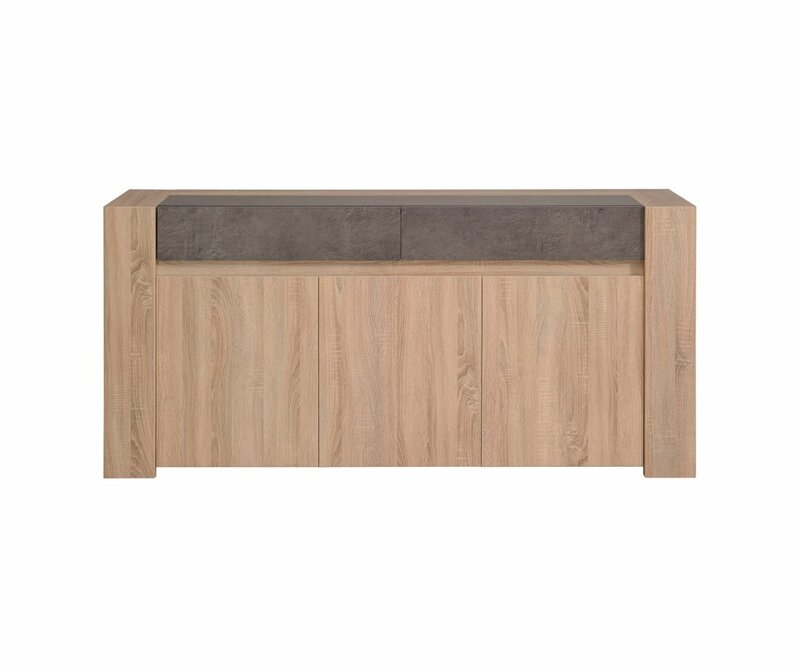 A sideboard is the perfect addition to a home dining area or great room! 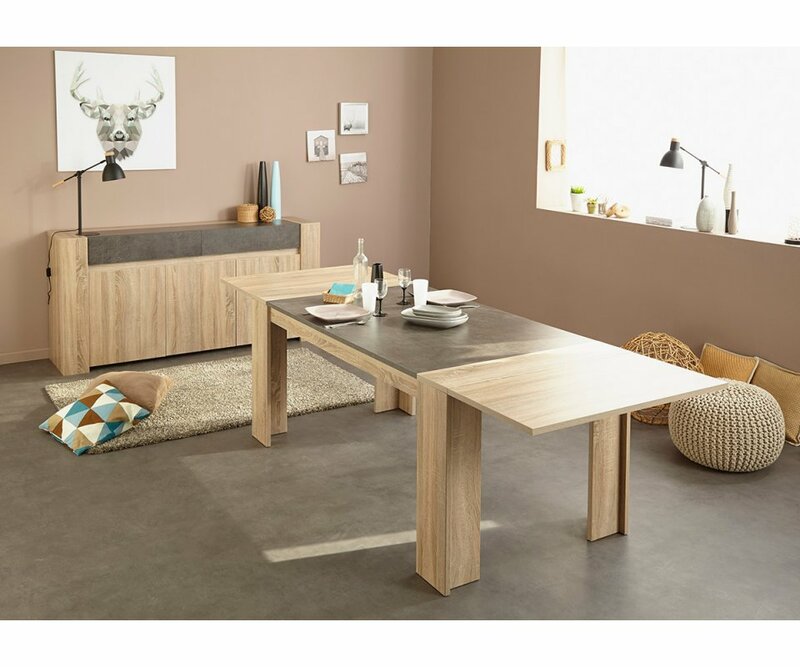 It provides much-needed storage space, as well as a buffet top surface for entertaining family and friends. 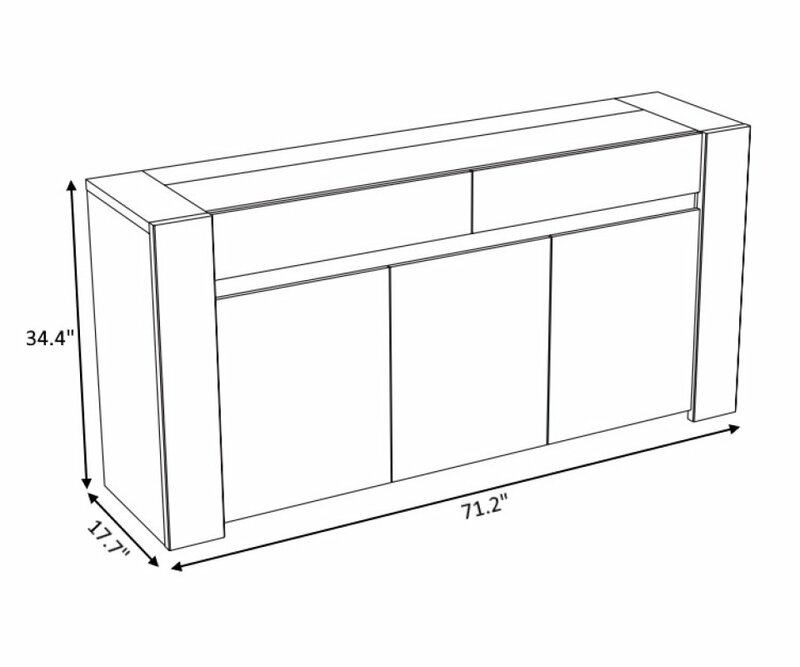 The Spare sideboard has three cabinet doors underneath, with shelves to hold china, glassware and serving pieces. Two drawers are wide and deep, perfect for table linens, candlesticks and other table décor, and flatware. 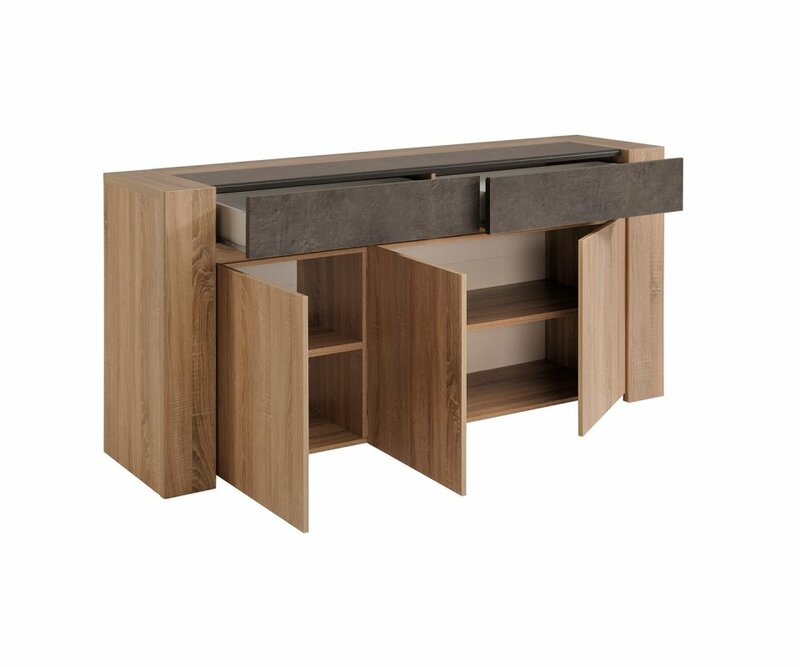 The cabinet is finished in Cotton Oak veneer, a warm woodgrain color that provides and natural element to any room. 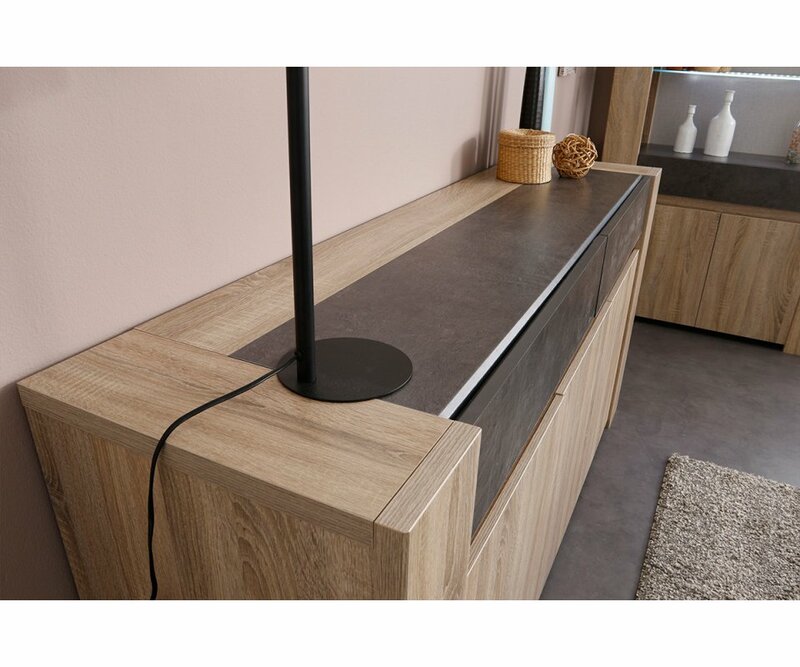 On top and on the drawer front panel, a Concrete veneer finish is inset, adding another natural element that provides contrast and stunning elegance. The sideboard is made to last, from high-density MDF boards, with tough veneer finish that resists stains, water ring damage, scratches, and fading from UV ray exposure. This is a piece you will be thrilled to add to your home!